After the first workshop in Maroussi Athens with children "from the ancient city of Corinth". 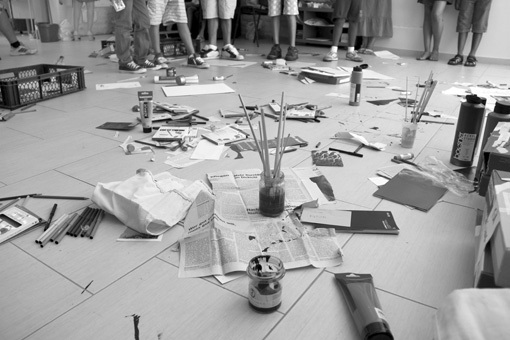 The Berlin Kreuzberg Biennale has initiated several drawing workshops for children in Greece. The workshops are realised in collaboration with the Museum of Cycladic Art Athens and several social institutions. KanenaMellon is greek for NoFuture. The children are invited to make drawings, paintings and objects that reflect their perception of their daily life and their future. The workshops are both an attempt to give an opportunity to the weakest victims of our european reality to have some days of joyful life and a research on the deep impact that this crisis will have on the development of a future in Europe. THE SMILE OF THE CHILD is a non-profit voluntary Organisation. It is based on sentiment and emotions but it goes beyond that and turns everything it represents into actions. As its main objective, the Organisation deals with the daily problems children encounter. The Organisation’s main concern is defending children's rights, not just on paper but in practice as well, providing services to children on a 24-hour, 7 days a week, 365 days a year-basis, working for their physical, mental, and psychological stability. THE SMILE OF THE CHILD cooperates closely with state authorities (Police, the General Attorney’s Office, hospitals etc.) but also with all responsible individuals wishing to contribute to alleviating issues affecting children.As a voluntary Organisation, THE SMILE OF A CHILD supports all relevant institutions so as to promote their efficiency in handling children’s issues. 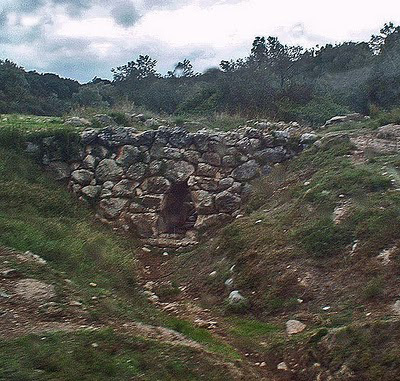 Arkadiko bridge built about 1300 BC. near Epidauros, Greece. Some of the stone work has been attributed to the cyclops. The near-far problem in wireless communication systems is a condition in which a receiver captures a strong signal and thereby makes it impossible for the receiver to detect a weaker signal. From a distance fiction merges with reality leading to an inevitable sacrifice of quotidian truths to a higher tragedy. An emission of violence and failure has overpowered the everyday as it has overpowered history. The works presented in near-far were created within and without the crisis. Feeding off traditional means of capturing history, near-far presents a personalized historicity as experienced by four young Greeks, half of whom live in Greece and the other half abroad. The works touch on aspects of media sensationalism, a prevailing folkish escapism, and spirituality intertwined with tradition both as a social construct and a pragmatic healing device. Near-far explores the relationship between the private and the public, the specific and the general in experiencing national identity and history. Artemis Baltoyanni works as director at the gallery Venus Over Manhattan in New York City. She has collaborated with artists, curators and galleries in New York City and Athens including Peter Coffin, Journal Gallery at ReMap 3, Athens and Paul McCabe at Van de Weghe Fine Art, New York City. Evangelos Kaimakis is an artist and designer based in Athens, Greece. He is one of the core founders of the ‘E.D.W.’ workshop, an innovative art and design incubation studio based in Athens. Panos Tsagaris is a Greek artist that lives and works in New York city. Through his work Tsagaris aims to express the emanation of the "Divine" as It is reflected through the beauty and poetry of the everyday, in order to bring himself and the viewer closer to a state of Catharsis. Panos Tsagaris` artwork has been exhibited among other places at the Belvedere Museum in Vienna, The Museum of Contemporary Art of Thessaloniki, The Museum of Contemporary Art in Leipzig, The Assab-One Foundation in Milan as well as at the 2nd Biennial of Thessaloniki. Evangelos Kaimakis is an artist and designer based in Athens, Greece. With a backround in engineering, his work incorporates personal fantasies with carefully crafted, technological curiosities. Evangelos is also one of the core founders of the 'E.D.W.' workshop, an innovative art and design incubation studio based in Athens. Nikos Katsaounis is a filmmaker and producer who lives and works in New York City. He has been awarded in various occasions for his documentary work, most notably as a member of the NBC team that received an Emmy in 2004. Nina-Maria Paschalidou is a filmmaker, journalist, and producer with extensive experience on documentaries focused on social strife, war and forgotten populations. The Prism GR2011 is their latest experiment in collective documentary filmmaking, combining the latest technology and techniques to document Greece during this critical time in its history, creating a cross platform documentary online www.theprism.tv. Krisis compiles different viewpoints, exploring the different dimensions of the afflicted nation, the characters are diverse and range from rebelling youth groups, to young Greek entrepreneurs, to a young couple abandoning city‐life for something simpler on an island, to the troubled journey of immigrants as they attempt to reach Europe. “Krisis” portrays the crisis, through a “judgment day” for the Greek citizens, a day that they will either decide to act and change, or struggle in despair and anger. Loukia Alavanou, Antonakis Christodoulou, Angelos Frentzos, Vassilis H, ILIOS, Mikhail Karikis, Vassilis Karouk, Anna Laskari, Sifis Lykakis, Panagiotis Loukas, Makis Malafekas, Margarita Myrogianni, Rallou Panagiotou, Aliki Panagiotopoulou, Maria Papadimitriou, Panos Papadopoulos, Kostas Sahpazis, Jannis Varelas, Poka Yio. 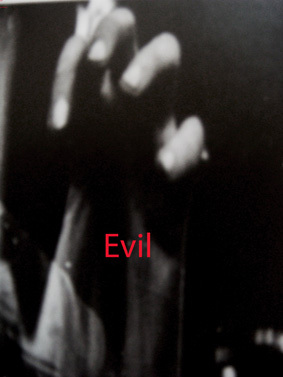 The greek artist Jannis Varelas has compiled a program of Videos of Greek artists called EVIL. The evil relates to a peculiar condensations of human behavior that emerge in situations of crisis and is placed in a personal, social, political and even historical context. The interest lies in types of behavior or phenomena that transcend rationalist analysis and move into an unfamiliar system of the absurd. It is an examination of peculiar identity of man being unable to draw upon paradigms from the existing, collapsing reality and through the moral concept of authenticity, finds refuge in self-definition reverting almost pathologically to himself. 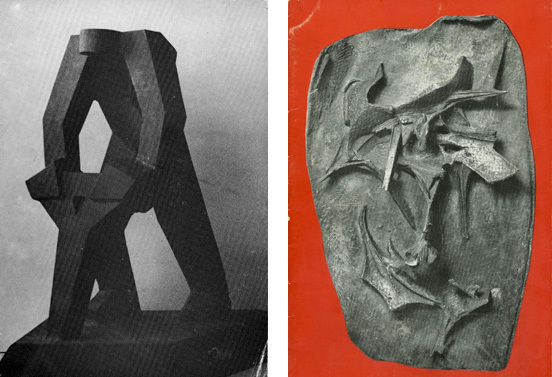 A presentation of Greek artists' publications starting from the 60s and up to contemporary production, a body of work which from time to time is brought back to the surface. It functions both as an archive, as well as 'new', 'fresh' work, reflecting to contemporary art practices, book-making and artists' publishing. The content also relates to art, literature as well as poetry & film. The presentation is based on a key element which is used to approach the material. The Polygnotan Color Scale. The colored book covers function as a setting, reflecting the 4 basic colors used by ancient greek painter Polygnotus, a spine on which we can revisit the archive and place it on a specific background. The Polygnotan Color Scale uses different visual elements than CMYK, as it totally ignores and emits the color Blue. It is essentially another model of composing a full-color image. The colors used are Black, White, Red and Yellow (Ochre). The Scale is transformed into books, which conceivably contain a number of reference greek art books. Identifying the nature of the exhibits as a kind of mechanical model - of a return to Paradise - as an electroshock of resuscitation, not from death to life, but from life to Paradise. From the lost notion of craft, to the sinful print, and from the theatrical heaven of the Persian garden to a Terirem monologue of the Byzantium, the Polygnotan Scale functions as a matrix-uterus on artist book covers, the first encounter with the cover, a question of which color wins you over, the formal Black, the innocent White, the imperial Red, the solar Yellow, the first encounter which resembles the scent of instant Paradise or Hell. OMMU is a bookstore & distributor based in Athens, Greece, showcasing magazines, books, and artists’ publications specializing on art & design. OMMU publishes own artist books and limited editions and also stocks a range of rare and historic publications, posters, music, furniture and anything else that stands out. OMMU Headquarters is located in a newly renovated space from the fifties in uptown Athens, Greece. The space serves as an interdisciplinary open house for creative professionals and anyone else interested in getting the latest word in international magazines, monographs, exhibition catalogues, pulp novels, vinyls and artworks across media – from illustrations to ceramics. Book launches, readings, talks & shows in a live cutting-edge cross-section of contemporary culture are aswell part of the program. A second bookshop is located at The Breeder gallery.